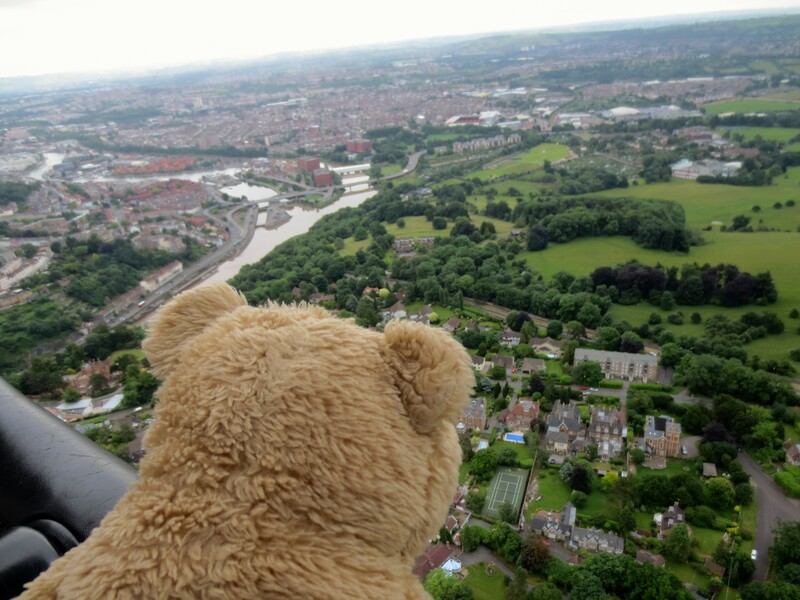 I have always wanted to go up in a balloon and have been trying for a while to get airbourne. Back in December Karen came home from a party with a big bunch of helium balloons. Unfortunately the bunch wasn’t big enough and we couldn’t even get little Nye off the ground. 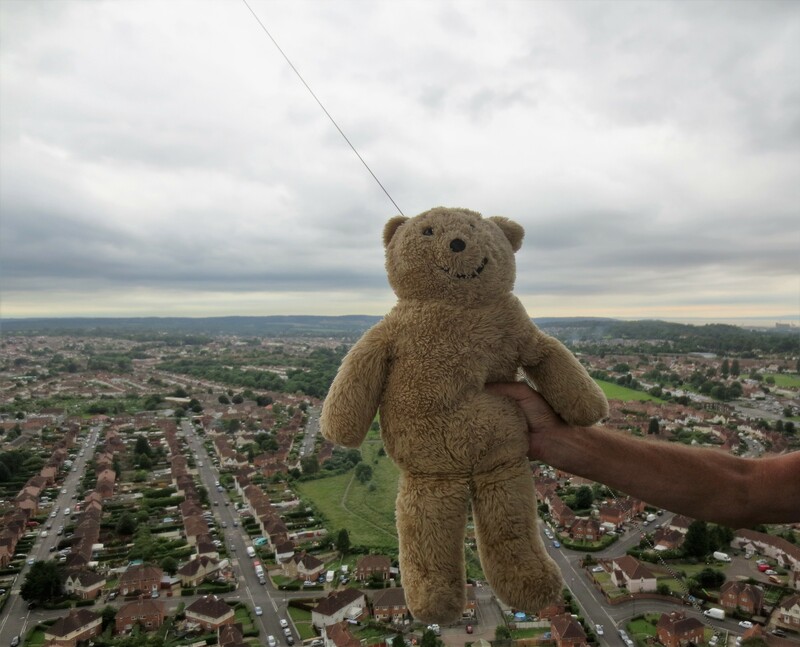 Bristol has a big ballooning tradition and after sharing my futile attempts at flying on social media Bristol Balloons offered to take me up in one of their hot air balloons. 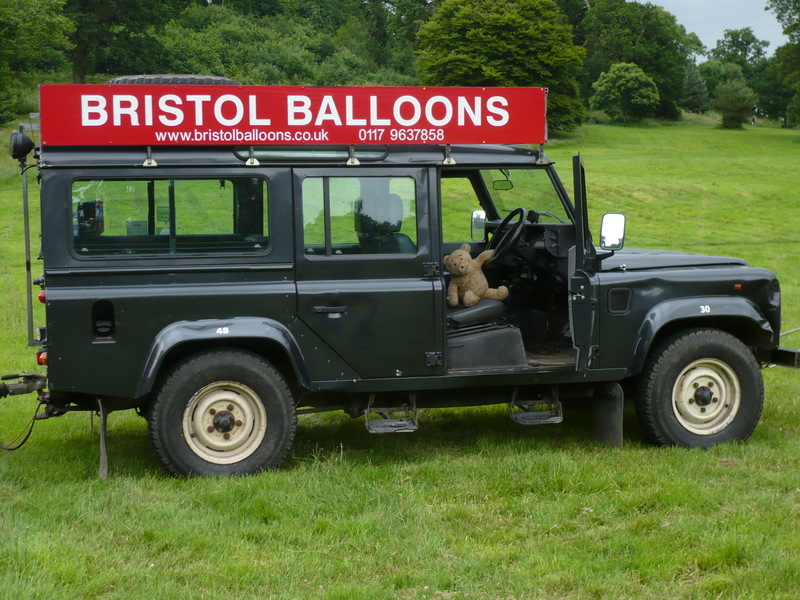 Yesterday the weather conditions were good for balloons, so very excitedly I toddled off to Ashton Court Estate for my balloon flight. 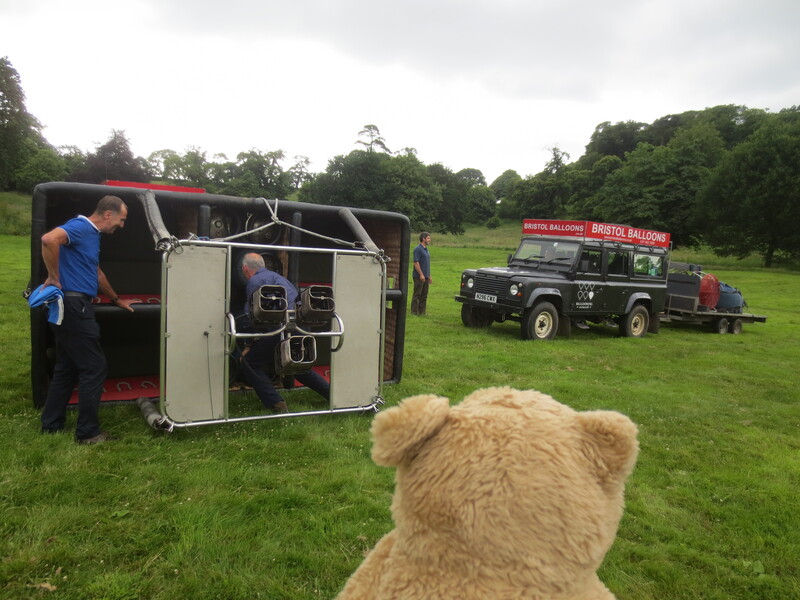 Two Land Rovers arrived, one towing the balloon and the other one a huge wicker basket with room for about 16 humans or bears. 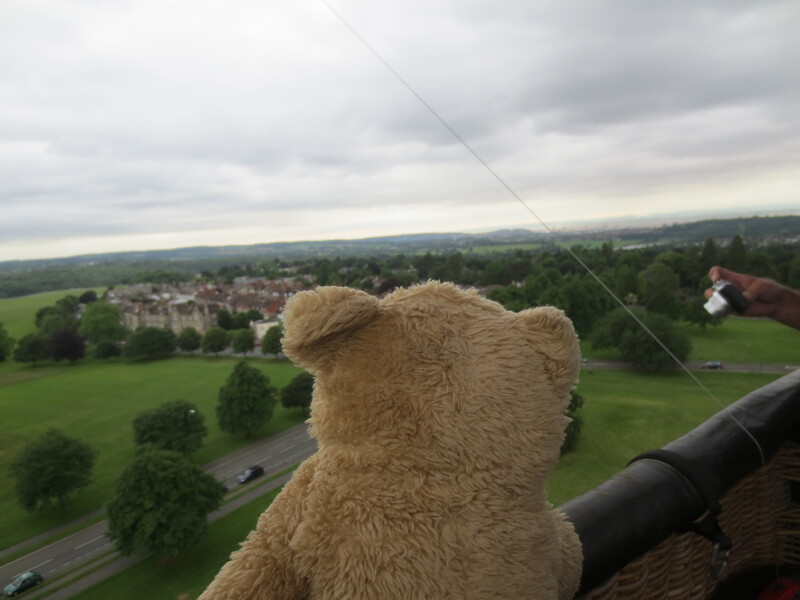 We had to wait a little while for a rain cloud to pass over, so I spent the time investigating the basket. 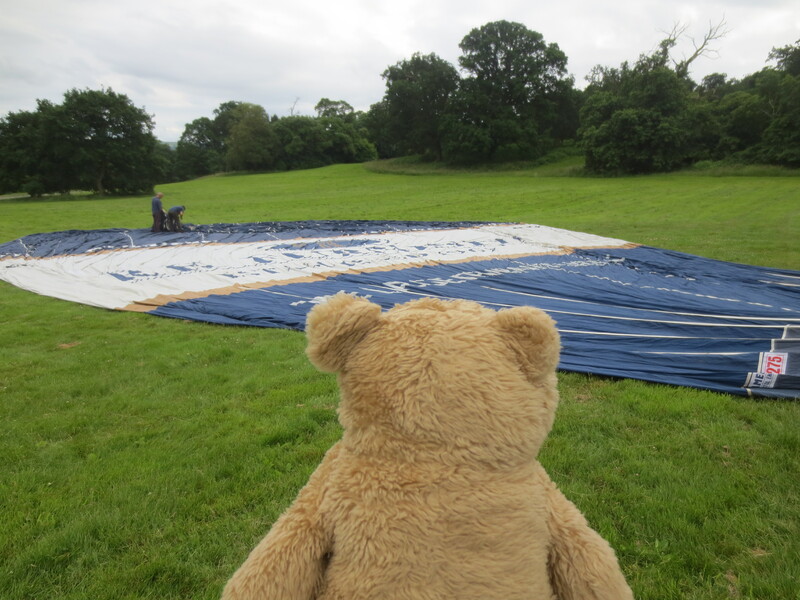 The humans that help get the balloons up must have very large hands – the red gloves were enormous! I sat in the Land Rover for a while as didn’t want my fur to get soggy in the rain. 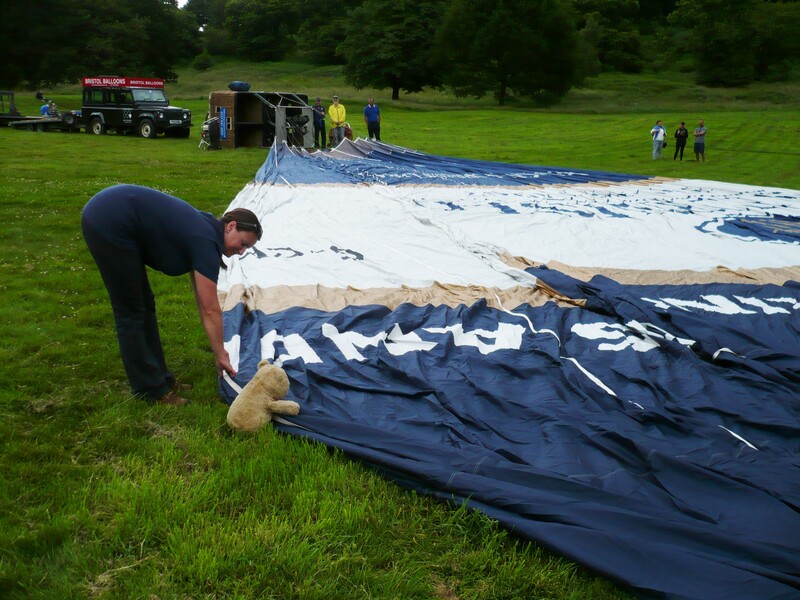 Once the rain had passed over the balloon was pulled out of its bag ready for inflation. 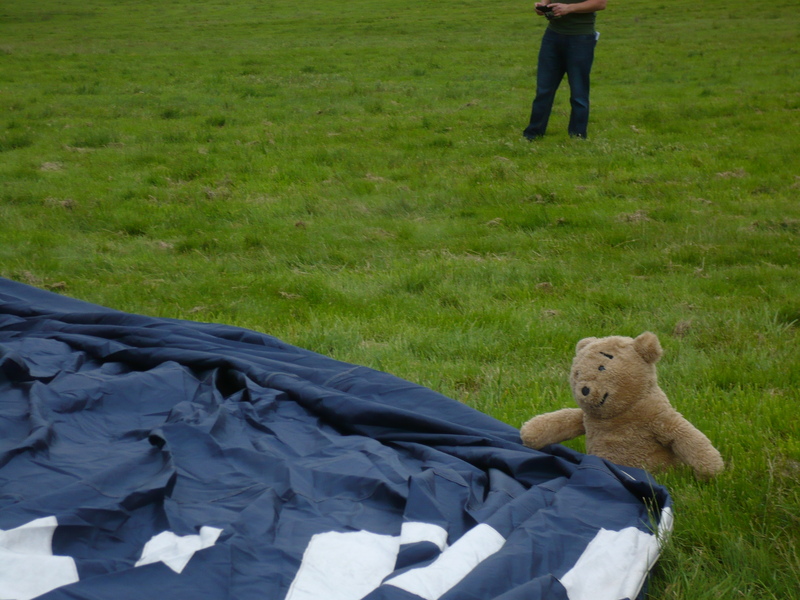 Being a very useful bear I helped stretch it out. The balloon was massive. 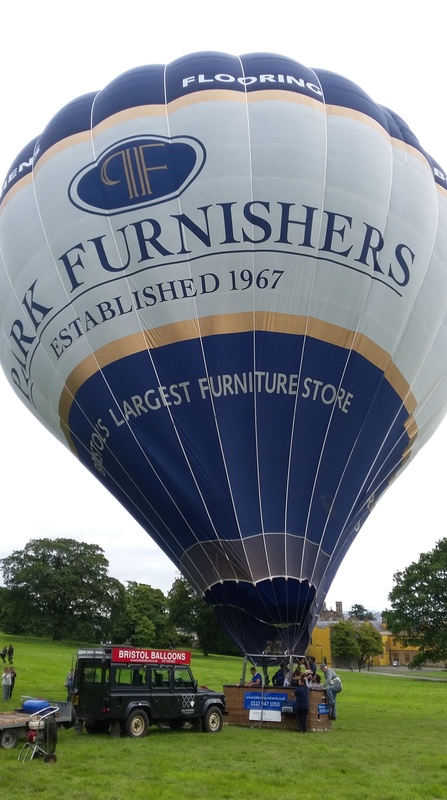 The writing on the side of the balloon said ‘Park Furnishers’. That is a shop where my humans have bought beds! 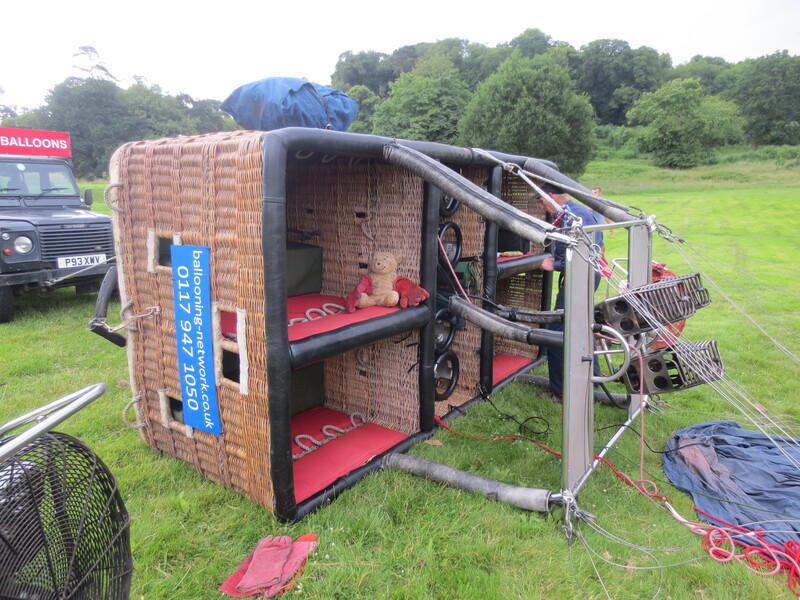 Air was blown into the balloon using fans to inflate it, then a huge burner was used to heat up the air. I stood well out of the way as my synthetic fur would singe very easily. 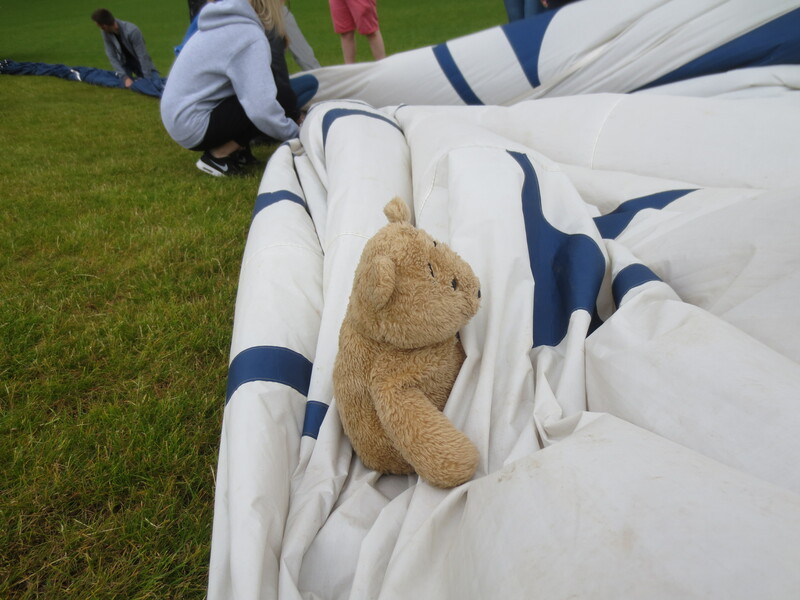 Once the balloon was fully inflated all the passengers had to climb in. 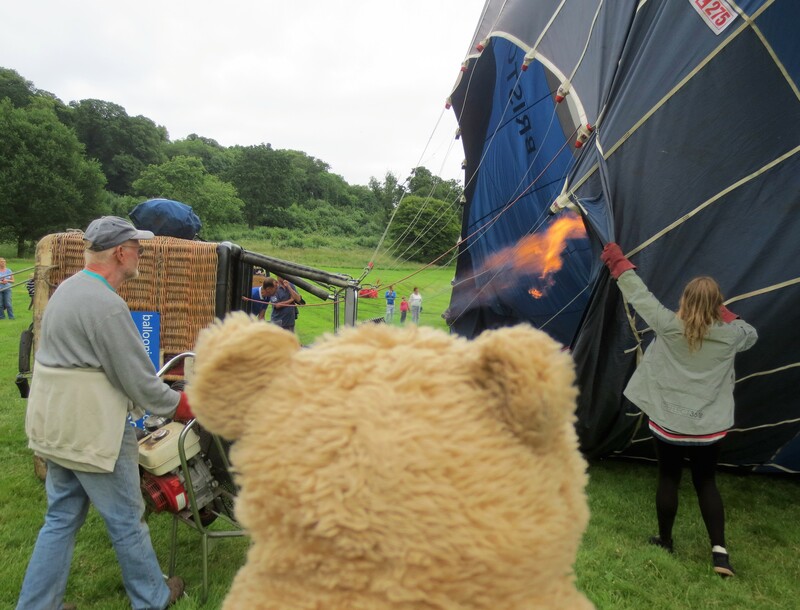 I climbed into the safety of the spotty bag to get in the balloon with Karen. 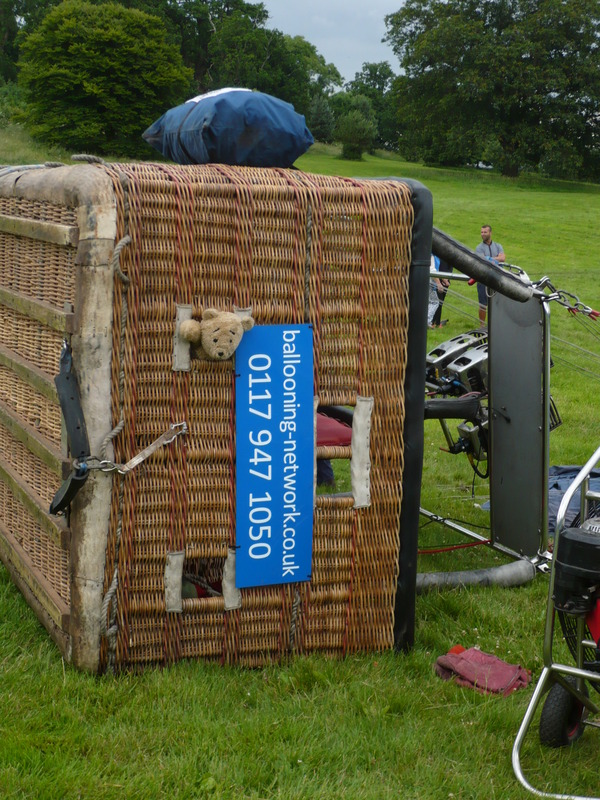 The passengers then had to stay seated in the balloon and hold onto rope handles until the pilot got the balloon airbourne. 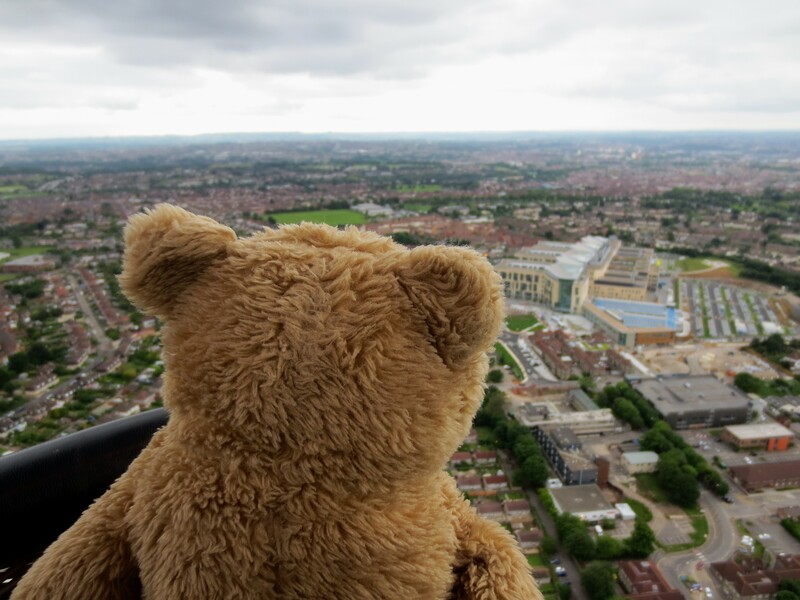 As soon as it was up in the air, I climbed up to look at the view. 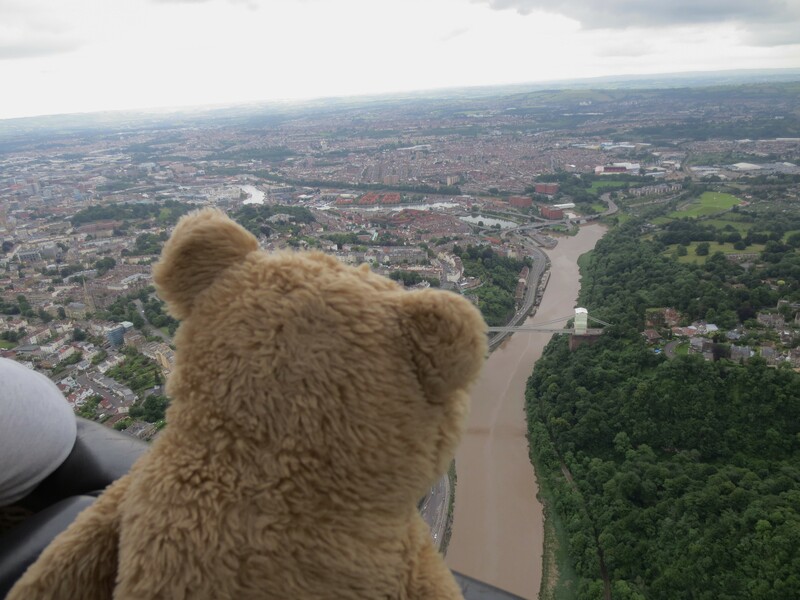 The balloon has to travel the way the winds are going and it wasn’t going in the direction of my house, but instead I got to see an aerial view of the river and the suspension bridge which was amazing. All the buildings started to look like they were part of a model village. It was very peaceful up there apart from when the burners were fired. 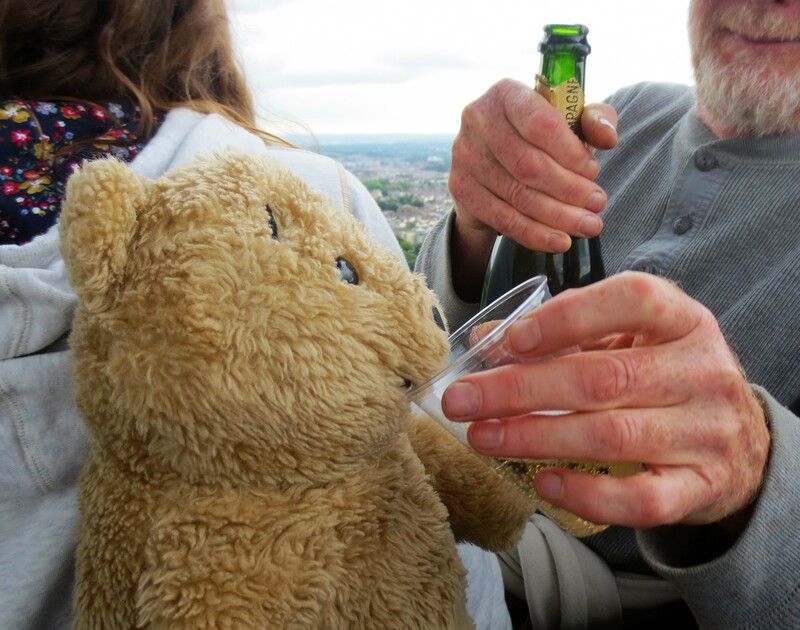 In the middle of the flight we had a little celebration with a glass of champagne. I had a little help drinking mine. The balloon continued to float over the city. The view went on for miles and miles – right over to Wales. 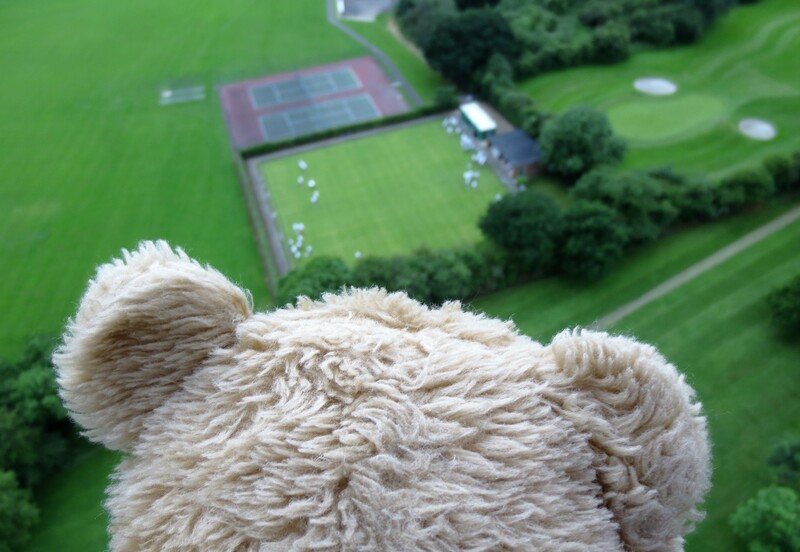 I was fascinated by the tiny little people playing bowls on a bowling green. We reached a golf course and the pilot decided that was a good place to land. All the passengers had to sit down and hold onto the rope handles. 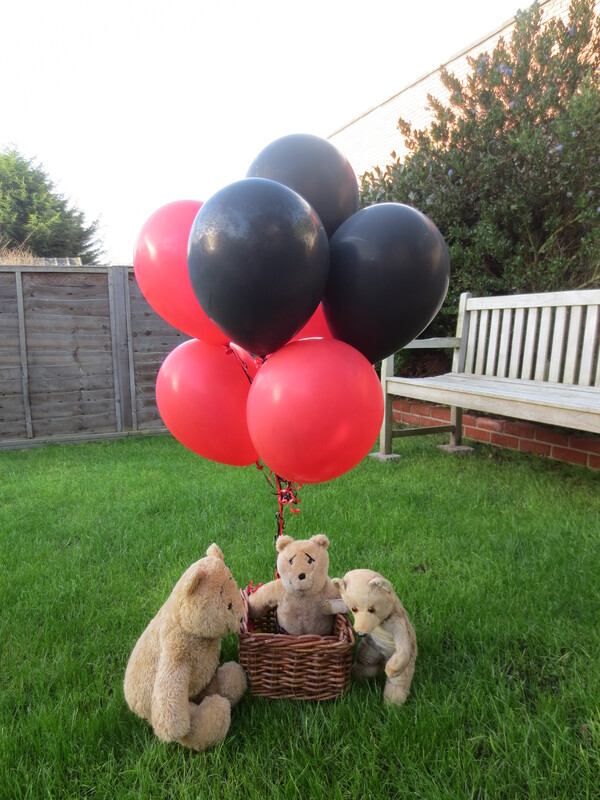 All of a sudden there was a big bump, the basket bounced up and down a couple of times and landed on its side leaving everyone lying on their backs! 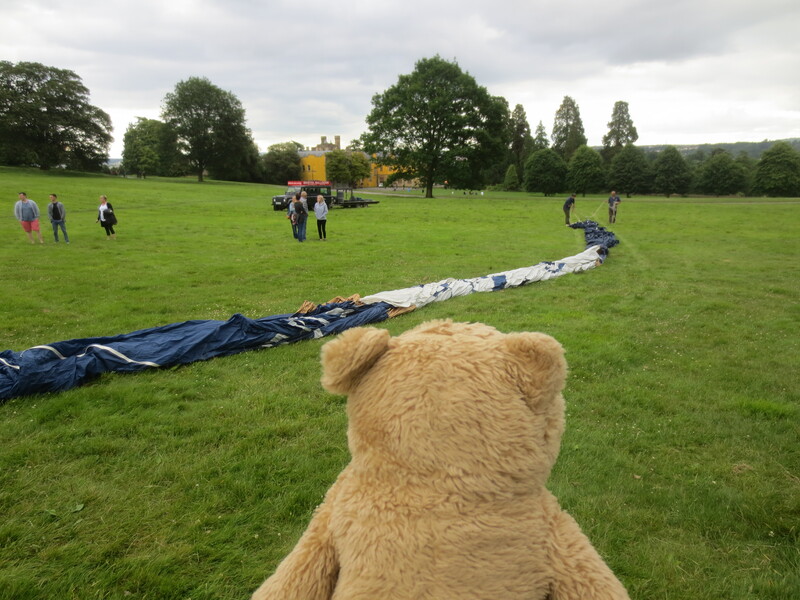 After climbing out I helped squash all the air out of the balloon in order to get it back in its bag again. The pilot signed my certificate which I think I will frame and put in a special place. 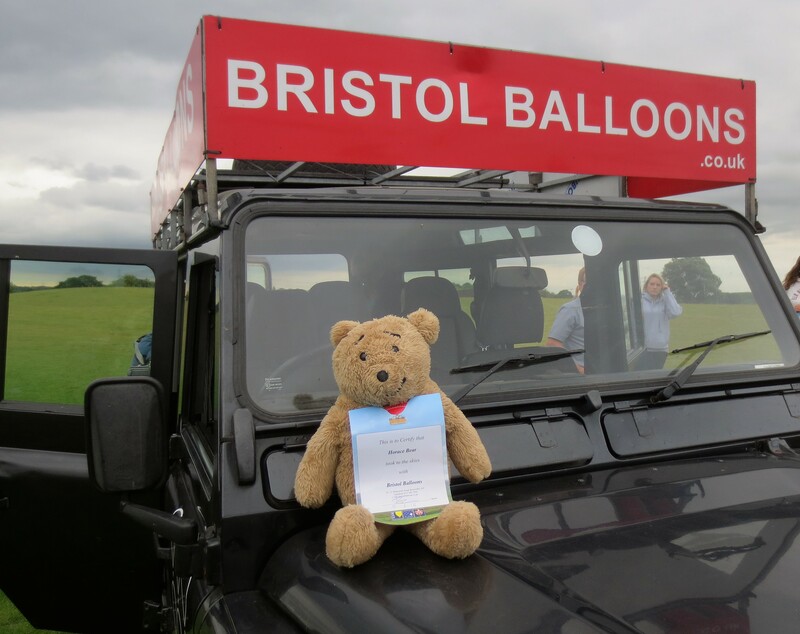 Many thanks to Bristol Balloons for getting me airbourne. My smile is now even bigger. I thoroughly enjoyed the experience.